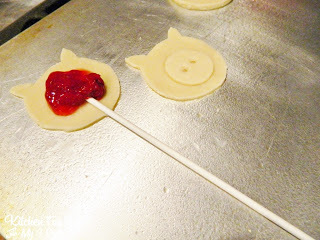 We were asked by Pillsbury to come up with some fun pie pop ideas and we are starting out by sharing these fun Piggy Pie Pops that we made the other day! Pie pops are so easy to make and kids love them! 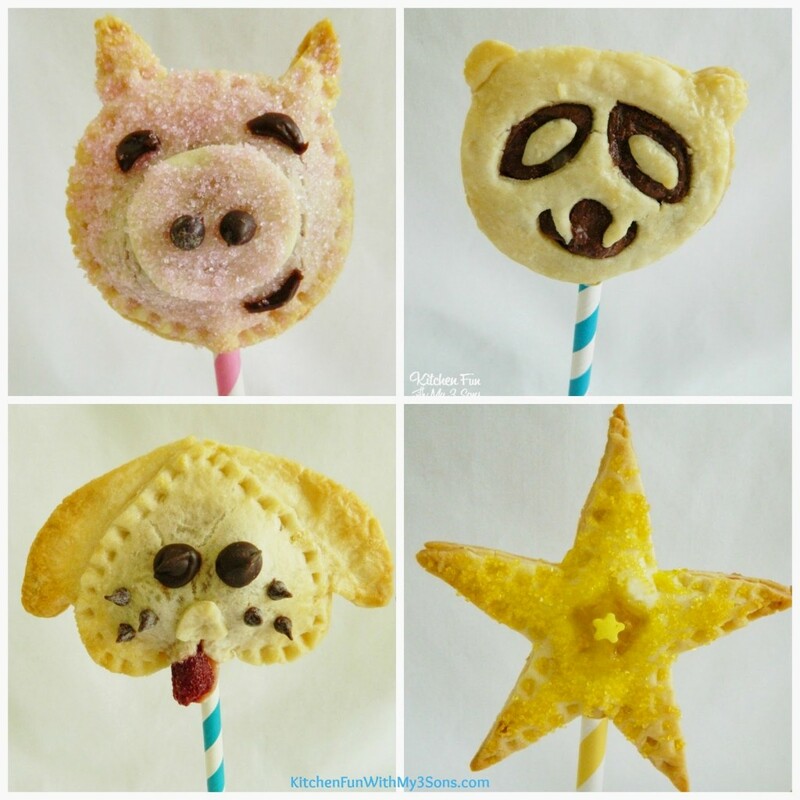 These are also great for parties and we will give you some other fun pie pop ideas for kids these next few days! Preheat the oven to 375. Roll out the pie crust. We used a round cookie cutter to cut the bottom of the pigs face. 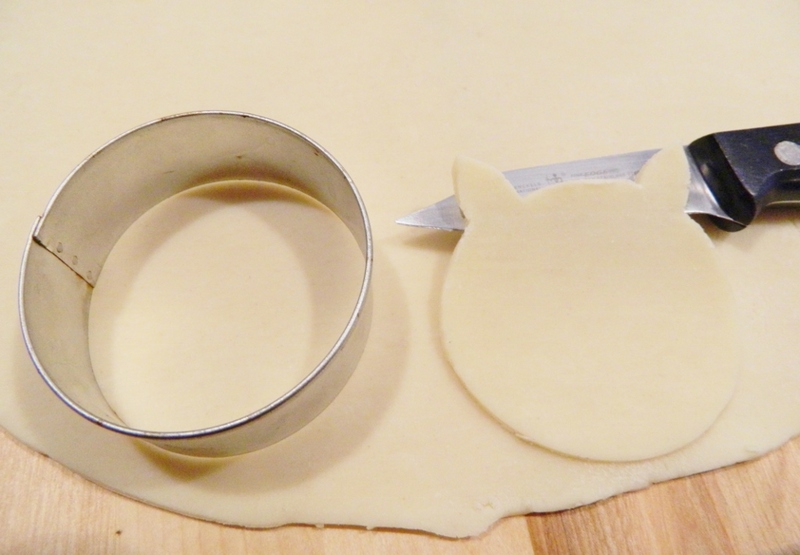 Cut the top part with a knife to make the ears. Use that piece as a guide to cut the rest of your other pieces using a knife. We used a smaller cookie cutter to make the nose. Then we poked holes on it using the lollipop stick. Place one piece on a cookie sheet lightly sprayed with cookie spray. Add the lollipop stick then some pie filling on top. Place the other pig cut out on top and then the nose. We sealed on the sides using the tip of a lollipop stick. 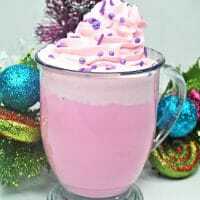 Brush the tops with the beaten egg and then add pink sprinkles for the top to make the pig pink. 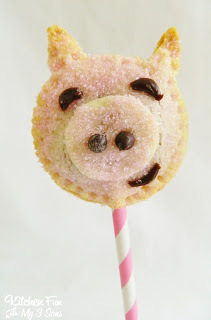 We also slipped our Piggy Pie Pops in decorative straws to give them a more colorful look! Make sure to check out all of our other fun Pie Pops! 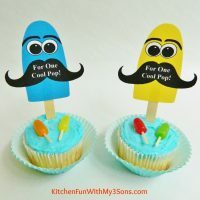 Father’s Day Popsicle Cupcakes with FREE Printable! These are so fun! Two years ago my sons birthday party was barn themed these would have been perfect. Oh well, I just have to find another excuse to make them. Very cute. Don't know why… but these piggy pops caught my eye:@) Very cute! 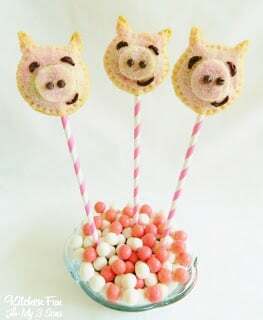 These piggy pops are so cute. 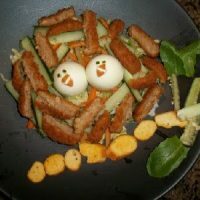 I can see making them for an Angry Birds party. Thanks! Angry Birds party is a great idea!! How adorable are these Piggy Pops. Pops are all the rage and their cuteness isn't lost on me or my two boys. I am sure we will be having a mess in the kitchen soon whipping up these fun little treats. Super cute. I love them. my brother had those for his birthday.